LEARNING NEW WORDS IS AS EASY AS ONE, TWO, THREE! Why enroll in an expensive course when everything you need to increase your vocabulary is at your fingertips? With this tested step-by-step method, you can instantly understand and retain thousands of words -- even words you have never seen before. By examining the building blocks of all words, a basic skill you already use every day without realizing it, you can unlock the meaning behind any word. A strong vocabulary is essential for academic and career success, greater self-confidence in speaking and writing, and improved reading comprehension. 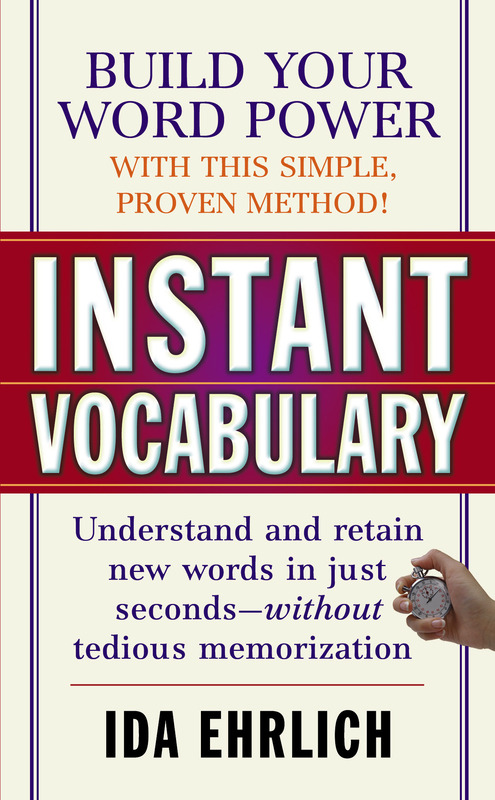 Master the secrets of increased word power with Instant Vocabulary! Ida Ehrlich is the author of Instant Vocabulary.